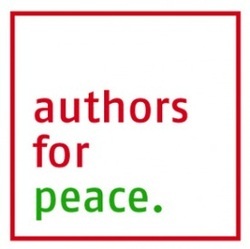 Authors for Peace was founded in July 2010 by the British author Priya Basil, and the German writer Matt Aufderhorst. It is intended to be a platform from which authors can actively use literature in different ways to promote peace. Rights always come with responsibilities, because what we enjoy we also have a duty to protect. Liberté, Egalité, Fraternité – these are not destinations at which we arrive thanks to someone else’s efforts only to lie back and take a holiday from thinking. Each generation has to engage with these concepts anew, re-defining them as necessary. Artists and writers can do this through their work - indirectly, quietly, perhaps even unconsciously. But sometimes our involvement must be more deliberate, our positions more forthright and we need spaces where we can do this. Authors for Peace is such a space. The first Authors for Peace event was a global, live, online, 24-hour reading, done by 80 authors from around the world, on the UN's International Day of Peace 2010.